The Dill Firm is often called upon to provide coverage-opinions that may well lead to an early exit from litigation. If we discover that coverage exists, we will immediately advise the client accordingly. Quick, thorough, coverage-advice saves defense costs and can also lead to minimizing or eliminating the potential for penalties and attorney’s fees. In defending insurers as well as insureds, The Dill Firm stands ready to protect the insureds’ interests, even if it means litigating the most complex issues. 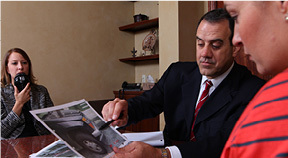 Simply put, The Dill Firm will advise the client based on an honest assessment of the facts and issues. We understand that cost is an economic consideration to be resolved by the client. Our job is to present you, our client, with as much legal information as possible so that you can make an informed decision on whether to proceed with litigation. We’re frequently asked to counsel insurance and non-insurance companies about insurance-coverage long before an accident has occurred. For insurers, the Firm’s goal is to ensure that their policies and underwriting are sufficient to cover future losses. For insureds, the Firm’s goal is to ensure that the policies they purchase provide coverage for the risks likely to be encountered. No matter what they throw your way, count on our wealth of experience to protect you. Here, every case is personal, and every case, we fight to win.